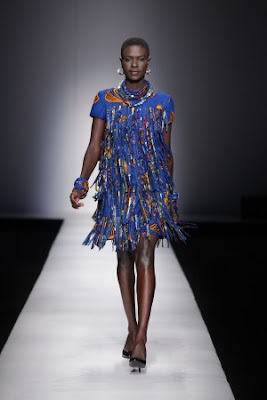 After all this time on ciaafrique I a never realized that I did not introduce the Amazing Nigerian Designer Ituen Basi. 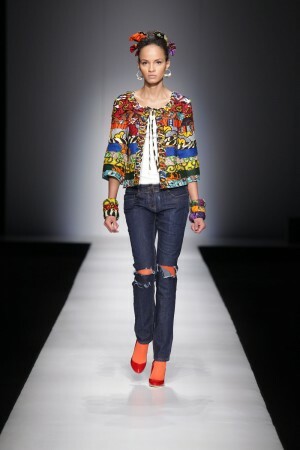 According to their website Ituen Basi’s ’09 collection is a refreshing celebration of the ubiquitous Nigerian print in all its glory. 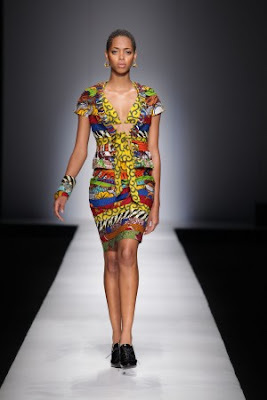 Christened ‘ankara and beads’ the collection is Ituen’s first home-grown collection in two decades. ‘ankara and beads’ is a stylish dialogue of elegance and sophistication punctuated with eclectic and whimsical exclamations. Fantastically fused, this clever collection is brilliant in every detail. The collection is a dramatic explosion of colours. The prints recall a familiar place and time. Ituen’s fresh design interpretation and fabric treatment beckon a new era of ankara designs. Her fabric treatment creates texture while introducing fun and surprise to celebrated prints.The new collection stays true to the essence of the Ituen Basi label. This collection has an ultra feminine silhouette with dresses skimming the body and hems grazing the ankle. The streamlined collection belies the intricate craftsmanship synonymous with the label. Each piece is designed to stand-alone or as a complement to another. The cut, fit and complementing soft tailoring ensure the garments move with flattering fluidity.Key pieces include fitted evening dresses, 70’s inspired tunics, relaxed flapper inspired dresses and ankara accessories.